New Restaurant: Mint | Cook. Vegan. Lover. The hubz took me out for a spontaneous date night to the new vegetarian restaurant and tea lounge Mint in Waitsfield, VT. 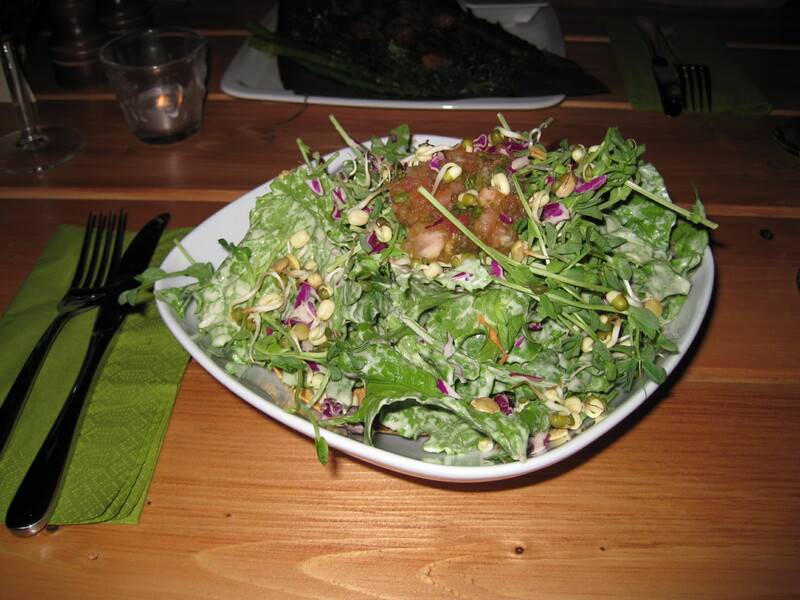 The small restaurant is all vegetarian and focus primarily on natural, organic whole foods and ingredients. They try to source all of their ingredients locally when possible and are 95% organic. The restaurant is quaint and has a really relaxing atmosphere. The food menu is small but has a number of really tasty sounding dishes. Although their food menu is small their tea list is extensive and is even broken down into types of teas such as dessert and evening teas. We opted for a glass of organic wine instead of tea but I’d like to try one of their teas on our next visit. The food was delicious! Although the prices were slightly high you are paying for what you get which is not only delicious organic & local whole foods but a great experience. I also must say that although the plates looked small the food was filling and we left satisfied with our meal. We can’t wait to go back! Also don’t forget to enter the Bodum French Press giveaway that ends March 5, 2010 at 8am. 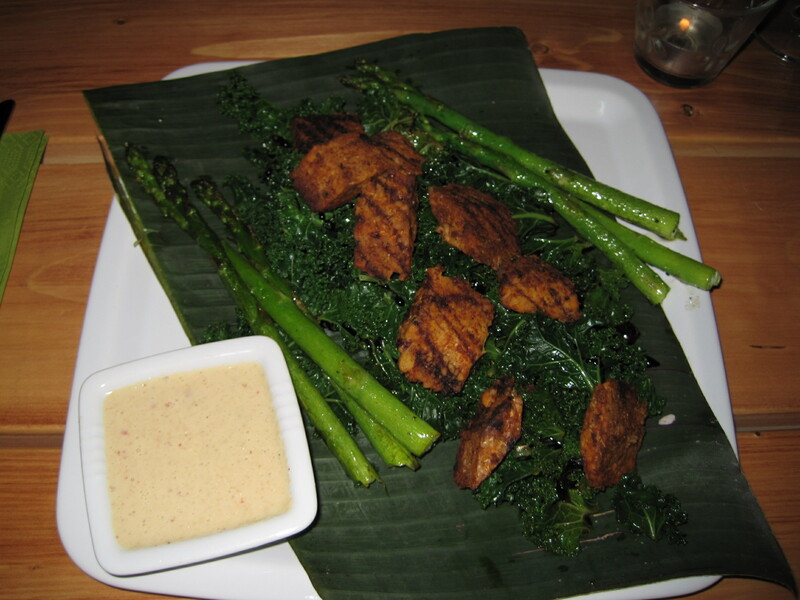 This entry was posted in restaurants, vegan, vermont and tagged restaurants, review, vermont. Bookmark the permalink. oh i would love to eat there! Awesome! A new place to eat when we visit Vermont in October. So exciting! Yum! Look at all those greens on that tostada.